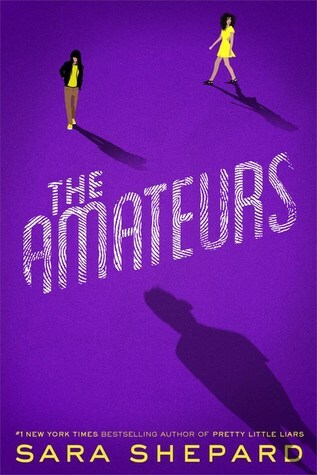 I was a little hesitant to read The Amateurs because I enjoyed Pretty Little Liars so much that I was afraid it wouldn't compare. No worries my friends... Sara Shepard has done it again! I was instantly pulled into the dramatic and fast paced world she created. Four young adults join together to attempt to solve the murder of Helena Kelly, only to become more wrapped up and involved than they could have ever dreamed. With turmoil and betrayal around every corner, the group learns to never believe things are what they appear to be. I absolutely love Shepard's writing style and it feels very similar to her other novels. This is definitely a "read in one sitting" kind of book! I became instantly hooked and couldn't put it down. The characters were interesting and each had their own little quirks, which I loved. Shepard does an amazing job of introducing certain characters who are supremely important and also others that are just meant to throw you off. I love that! I always want to figure out the mystery on my own, but Shepard made that virtually impossible. The Amateurs was a well written and thrilling story filled with mystery, drama, and enough edge-of-your-seat action to make you want to finish the book in one sitting. I absolutely adore Sara Shepard and can't wait for the sequel. I would highly recommend this book to YA lovers. It was a fun, fast paced read and I loved it! * I received this book from NetGalley in exchange for an honest review.